With the summer transfer window now closed, football fans across the world can enjoy the new season comfortable in the knowledge that their best players aren’t going anywhere soon. Due to the record £1 billion barrier being broken this year mind, the Premier League is sure to be more enjoyable than ever. While millions of pounds are spent on players and transfers though, stadiums deserve their share of fame too. They are impressive architectural structures and monuments after all, showcasing advances in design and engineering. This piece will give the attention to those Premier League stadiums that deserve the credit. Think that you already know your stadiums? Take the test set up by Compost Direct to find out for sure and then read on for some fascinating facts about some of the country’s top grounds. With the capacity of over 42,000 seats, Villa Park is one of the older grounds currently in the Premier League. This stadium was opened in 1897 and has previously been known to host FA Cup semi-finals until both the semi-finals and final of the tournament were relocated to the new Wembley Stadium. Stamford Bridge is home to one of the Premier League’s richest teams; Chelsea. Despite being opened in 1877 and then practically rebuilt in 1905, it still has enough steam to compete with some of the more modern grounds. In fact, the stadium now has the capacity to seat more than 41,000 people when fans want to see the current league champions in action. St. James’ Park stands strong as a monument in Newcastle. With the capacity of over 52,000 seats, this stadium has two huge side stands and is ranked as one of the top stadiums in the country — as well as holding the honour of being the oldest football stadium across the entire north east of England. You may want to avoid the top seats in the stadium if you suffer from vertigo though! Being one of the greatest stadiums in the world, with a capacity of welcoming over 45,000 fans, Anfield is one of the must-see Premier League grounds for any fan. While the stadium has been redeveloped over the years, it still carries a feeling of its old-fashioned design. This is especially the case when you see that some of the seats are covered by giant support pillars. A multiple award-winning stadium that is home to the England national football team, Wembley Stadium can be found in the heart of London and boasts 90 thousand seats. Finished in 2007 to replace the old Wembley Stadium, this ground is the most expensive structure of its kind at £1.3 billion. The new Wembley Stadium is also the second largest stadium across the whole of Europe — only Camp Nou in Barcelona beats it in terms of size. 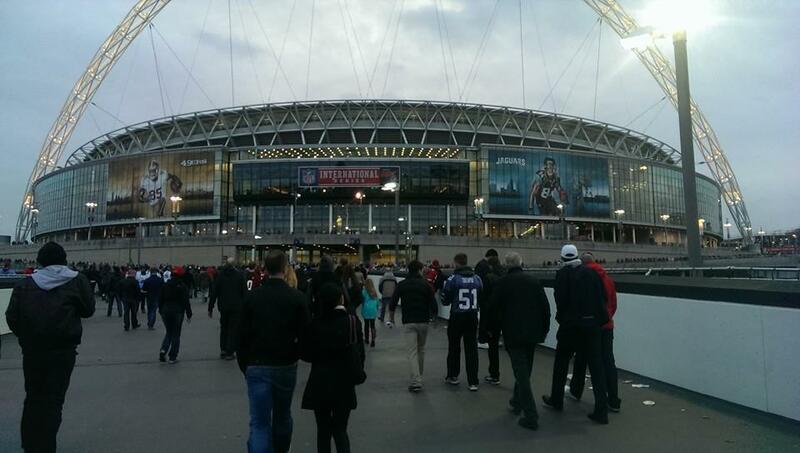 However, what sets Wembley Stadium apart is a roof arch of a remarkable height and width.